Modern Slavery Act 2015 statements: Does your organisation qualify? 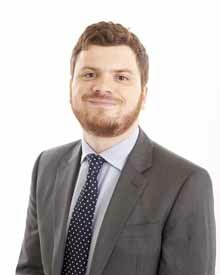 Will joined SME Solicitors in July 2014 as a Legal Assistant in the Litigation and Employment Department. In June 2015 he began his training contract gaining experience in residential property, business services, commercial property and litigation. Will qualified into our Business Services Department in June 2017. He advises on a large range of commercial property matters from buying and selling premises to lease renewals and assignments. Will also specialises in new businesses and start-up advice.